Itzchak Tarkay was an Israeli artist, born in 1935 in Subotica on the Yugoslav-Hungarian border. In 1944, Tarkay and his family were sent to the Mauthausen Concentration Camp, until Allied liberation freed them a year later. In 1949 his family emigrated to Israel, living in a kibbutz for several years. 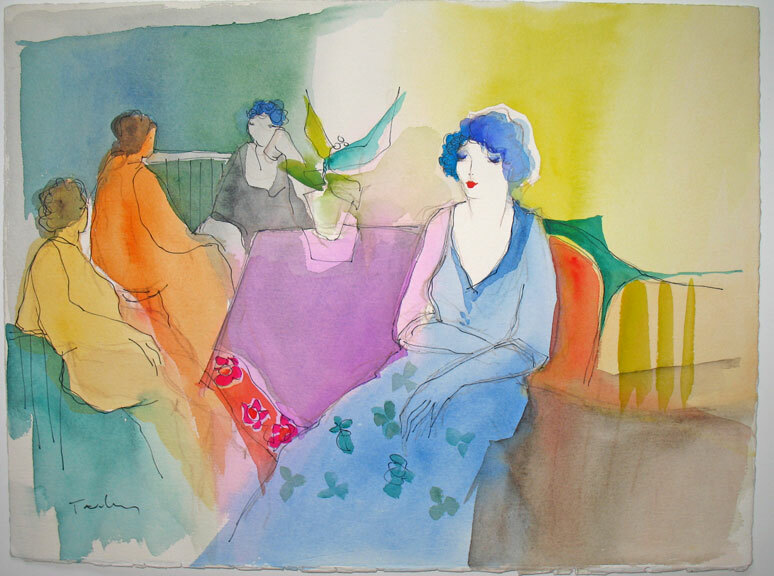 Tarkay attended the Bezalel Academy of Art and Design from 1951, and graduated from the Avni Institute of Art and Design in 1956. Itzchak Tarkay art is influenced by French Impressionism, and Post-Impressionism, particularly Matisse and Toulouse-Lautrec. His work was exhibited at the International Art Expo in New York in 1986 and 1987. He has been the subject of three books, published by Dr.Israel Perry. Perry Art Gallery And Park West Gallery, his dealer. This is only an example of the Itzchak Tarkay art available at GinaArt. 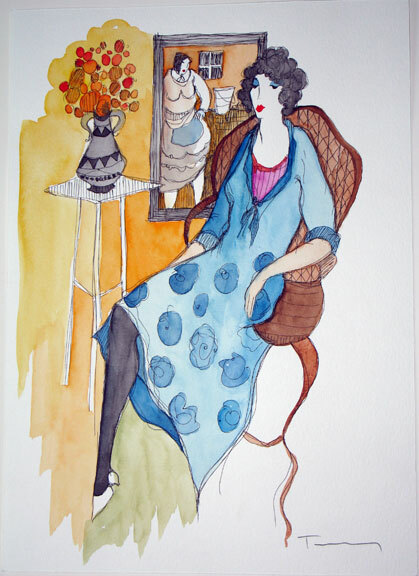 We have Tarkay lithographs, watercolors and paintings. If you would like more information or are looking for a particular Tarkay piece, contact us to discuss.